Money Origami. Money folded into a shirt for father's day! Far too often my husband and I say something like, “Happy Birthday! Take some money out of our account and do something special for yourself“. YIKES!!! BO-RING!!! Another common scenario: I know he has something in mind that he really wants,… like a new golf club. I WANT to surprise him, but let’s be honest,… he wants to choose it out. This creative ‘money giving’ gift will surprise your man and make him smile. Write a little note letting him know what the cash should be used for. Easy. Creative. Fun. Here it starts as plain ole money. Simple. Boring. Now I must give credit where credit is due. I could have NEVER figured out how to fold this money shirt origami on my own. I found this on a fabulous money origami site. 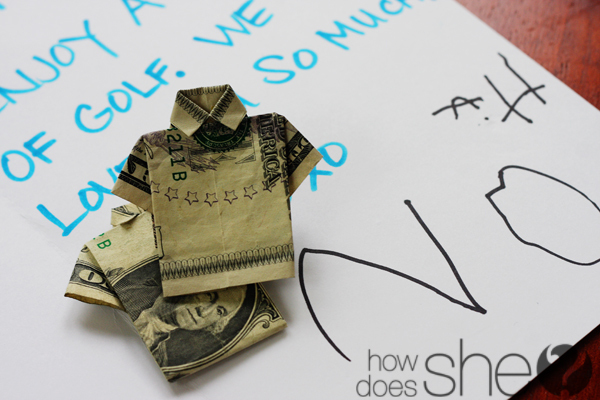 For full detailed instructions on how to make this folded money shirt, see tutorial here. We tucked the money and card by his golf clubs. This money gift is specifically to be used for a round of golf at course of his choice. Happy Father’s Day to all of the wonderful Fathers in our lives. 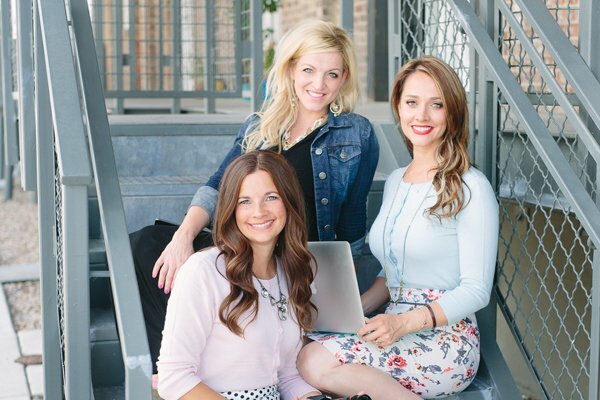 We’re linking up to these wonderful parties! I’ve been looking for something for my husband and this is absolutely perfect! I dont think we could bend Australian Dollar but will try maybe with tape??? Shelley this is so fun!!! I LOVE it! What a great idea! So creative. i LOVE DOLLAR BILL ORAGAMI GIFTS!! I made these for my father one year, then made pants, and then a simple twist tie belt. one year i made little wire hangers and put a clothesline in between the pages of card. I have a whole bunch of dollar bill oragami I use for different occassions- and one thing I try to do is to make one set in dollar bills, and then make more with a large bills for the gift so they can use the big bills and keep the smaller ones to show off! OMG Am I the ONLY one who couldn’t do this? this is one of the cutest things i’ve ever seen! love! Really cute! I was planning to get both my husband and father cash this year in some form so they could pick out a gift. Could you repost the link to the tutorial? I can’t seem to get it to work…thanks! clicked on the link you provided & it would not take me to that site….am i doing somethg wrong? Really cute little $5 bill shirt! I can’t get the full tutorial to open at cox.net though! Any ideas?